NIV: 9 And this is my prayer: that your love may abound more and more in knowledge and depth of insight, 10 so that you may be able to discern what is best and may be pure and blameless for the day of Christ, 11 filled with the fruit of righteousness that comes through Jesus Christ—to the glory and praise of God. 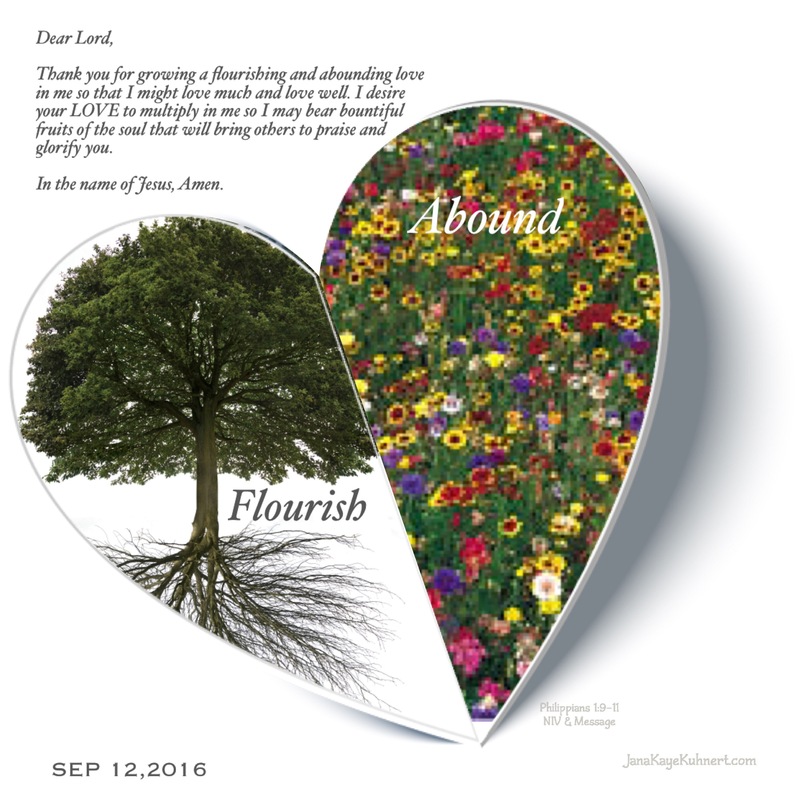 Message: 9-11 So this is my prayer: that your love will flourish and that you will not only love much but well. Learn to love appropriately. You need to use your head and test your feelings so that your love is sincere and intelligent, not sentimental gush. Live a lover’s life, circumspect and exemplary, a life Jesus will be proud of: bountiful in fruits from the soul, making Jesus Christ attractive to all, getting everyone involved in the glory and praise of God. What’s super cool about this scripture? Paul teaches us that we can not only PRAY for MORE love but for a GODLY love. One that bears fruits. One that discerns. One that not only brings glory to the God of Love, but others, to the God who IS Love! That’s right, my love, is a gift. It’s a gift that you can ask for more of. The best part? The love that we have has a purpose. Not a self-fulfilling purpose, but a God-fulfilling purpose. It’s a WISE love. Sincere. Intelligent. That means we have blinders off and can show love completely and freely without any expectations of it being reciprocated. Are you able to show love to the “least” of these? A discerning love is pure. That means we don’t become a lover of THINGS not becoming of an exemplary life. It’s a NO DRAMA love. Being able to LOVE is the gift. Loving is the fulfillment. Becoming a vessel of the flourishing and abounding love of God is what completes us. Fills us. Reflects HIM. So, today I’m going to pray for me and my growth of love. Instead of picking at the things about those in my sphere of love( family, friends, co-workers, yadayadayada) that I want to change, I’m going to ask that God will change me. So that when they see the love that Christ has blessed me with, they will see how much He loves them. 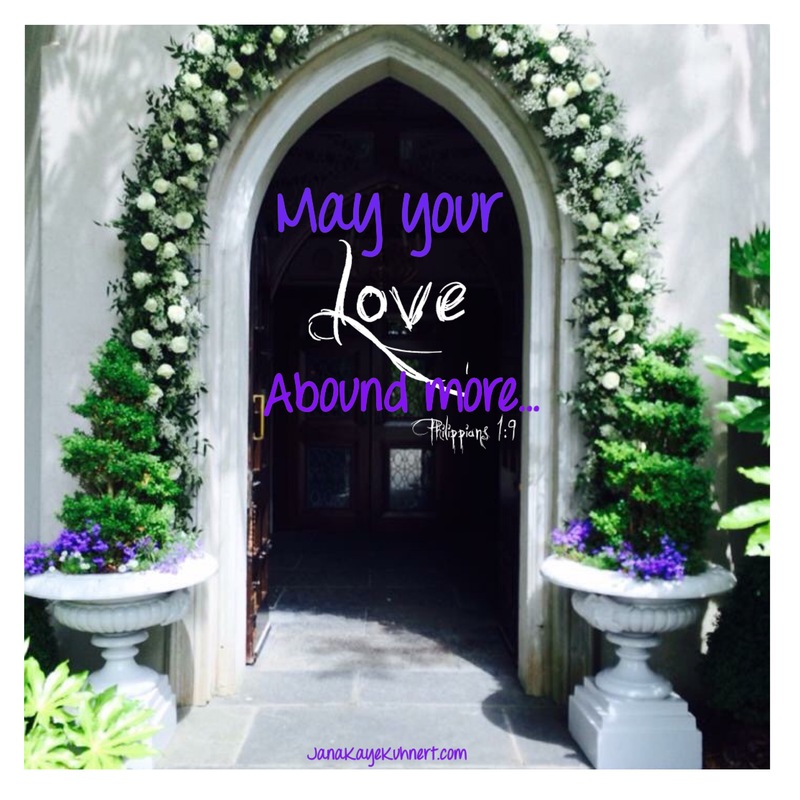 What if we all prayed for more love? Join me? Next Post YAY YAY It’s MONDAY!